Today, April 7, the National Rifle Association’s 2nd Annual Intercollegiate Rifle Club Championships commence in Charleston, South Carolina. Clemson University is the official host, but the actual shooting will take place at the Citadel’s high-tech shooting range, which boasts electronic targets with large plasma-screen score displays. The Citadel is known more formally as The Military College of South Carolina. With Clemson serving as the official host, and The Citadel serving as the official site, the Championships are sure to provide each competitor with an abundance of that famous South Carolina charm. NRA’s Intercollegiate Rifle Club Championships are open to College Rifle Clubs, ROTC Teams, and independent shooters, for which there is currently no national championship. The First Shot Ceremony commences at 5:30 on Thursday followed by a Welcome Reception at 6:30. 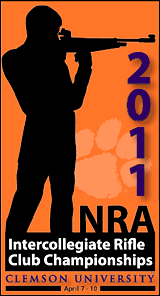 Share the post "NRA Intercollegiate Rifle Club Championships Start Today"